So yeah, some of you may have already heard, but for those who haven't.. 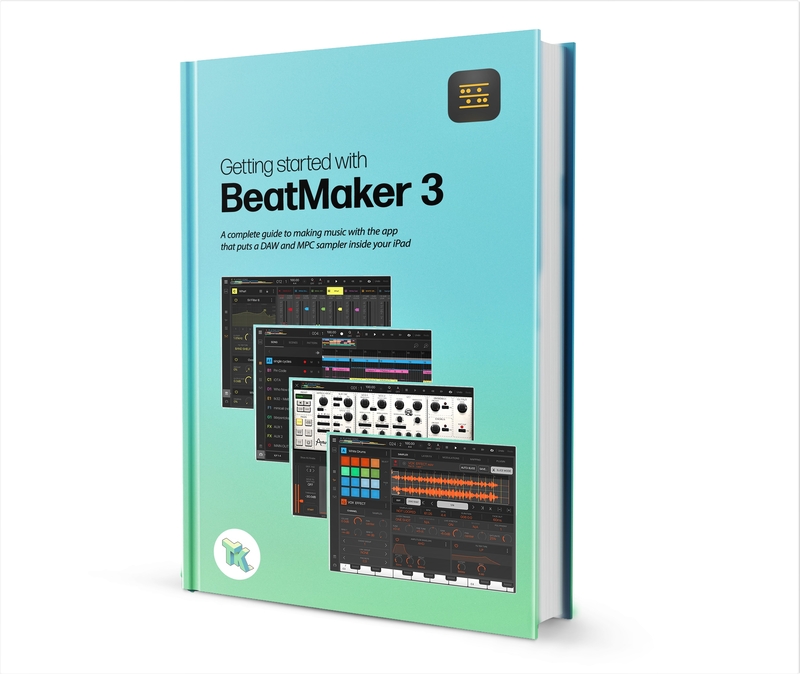 I've decided to write a new guide to BeatMaker 3. To do this properly I will need to tap into the collective wisdom of the wonderful users of this forum, and I will appreciate every bit of assistance you guys can offer. 1.1 - Is BeatMaker 3 the right DAW for me? Note this is all work-in-progress, so i'll be making continous tweaks and edits to the above as i actually write each section. Sweet, this will be awesome !!!! Thanks for the support 5pin. What's that you say? Did you just volunteer as my technical editor? Nice - Thanx in Advance! Rad! Where can I download it? This is awesome and I'd like to help in any way that is helpful! Thanks for all the positive responses everyone. Hope I haven't bitten off more than I can chew! The guide will be released section-by-section on a new Wiki that Mathieu has setup for this purpose. Once the first sections go live I will post a link here for you guys to see, and you can give me your advice on which parts are either not clear or just plain incorrect. I'll let you all know if there's anything I need a hand with. My advice would be to keep it text only until 3.1 drops with its promised UI and workflow changes, unless you really enjoy doing screengrabs multiple times. So does that making it a bleeping good idea? I’m loving the D&D vibes ! Is BeatMaker 3 the right DAW for me? I forgot to add this... you must roll 1 d6 to determine your character class. Do you think there's value in covering the fundamentals in depth, or should I assume everyone already knows the basics (either from experience or other resources) and therefore focus mainly on intermediate and advanced topics? I know its going to be more work for you but it would be cool to have it cater to everyone from beginner to advanced. I'd say start with the intermediate and advanced topics. It is probably more inspiring for you to write these parts(? ), and more likely to see contributions from other knowledgeable persons on this forum in these categories. Basic stuff can be fleshed out later, or be covered by the manual. Double-Agreed. Intermediate is where things truly begin. * AHDSR techniques & use in automation lanes. * FX chains (best practices) the order of FX. * Crossfading uses in sample editor. I agree here, questions on the forum and in chat can answer basics quick fire, they dont warrant a bunch of your time that could be spent on more advanced stuff. Thanks - this is the advice I needed. I spent nearly an hour earlier trying to devise a clever new way to explain envelopes and LFOs - so I'm glad I asked this. Very cool of you to take the initiative on this. My favorite app by far, happy to help in any way if it brings more people on board. A quick update on my progress with this project. Last week Mathieu Garcia created a new Beatmaker community wiki, and I have been busy writing the chapters outlined above ready for publishing over the next 2+ weeks. The plan is for this new wiki to become the home for my guide, and also host various other tutorials and helpful resources for everyone out the learning to use BeatMaker - regardless of their current skill level. As soon as the first few articles and chapters are done I'll post the link here in the forum. Where would you put this topic in the skill basic or intermediate level please? Understanding Envelopes and LFOs are intermediate skills.. but really important for everyone to know. I will be explaining the essentials in my guide, but there are lots of other websites and books which go into more depth. @tk32 - thank’s in advance for your effort with this big project! I've updated my table of contents slightly. The first few articles will be posted very soon. GREAT IDEA!?! Although, it seems like you could waste a lot of your time spent on educating many on the basics. It’s no doubt that envelopes and lfo’s are extremely important and at least worth a brief mention in certain topics, but we all have google and YouTube available to us for self educating. Personally, I think if anything guide them towards the user manual, links to YouTube tutorials, books, etc. (for those of us using Cubasis//Auria Pro//Modstep//or other personal preference)..
I’m curious as to what they all have in COMPARISON to better understand which workflow best suites my particular needs and allots more time for creative impulse, rather than fumbling around trying to figure something out before inspiration flees. I think this is a phenomenal idea, but I would ask who are you catering to? And what would be most beneficial for you and others involved? I could see this growing into something a lot bigger than a simple basic guide, especially considering how active this community is.. The target audience (in my mind) is a combination of completely new users, who might be finding Beatmaker's complexity a little off-putting, and also intermediate users who are wondering how to take their skills to the next level. Still looking forward to this, how’s it coming along? It’s coming along great - just taking a lot longer than I (naively) expected. I’ve written 16,000 words, countless visual diagrams, and will be releasing the first version ‘soon’. Thanks for your interest, support ...and patience!